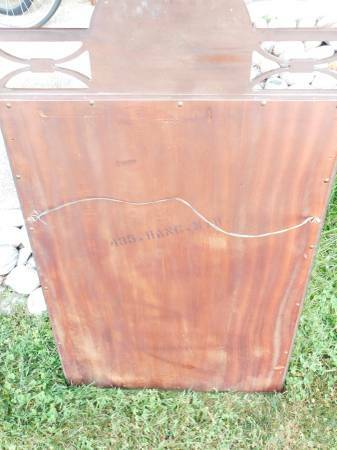 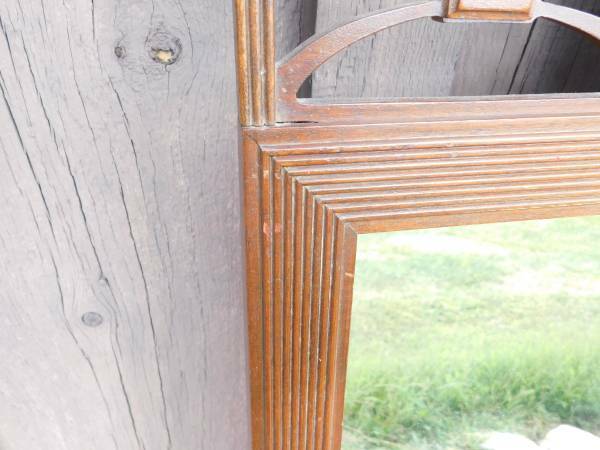 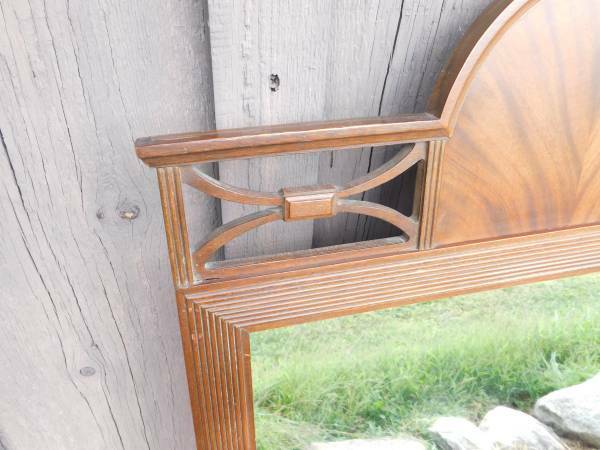 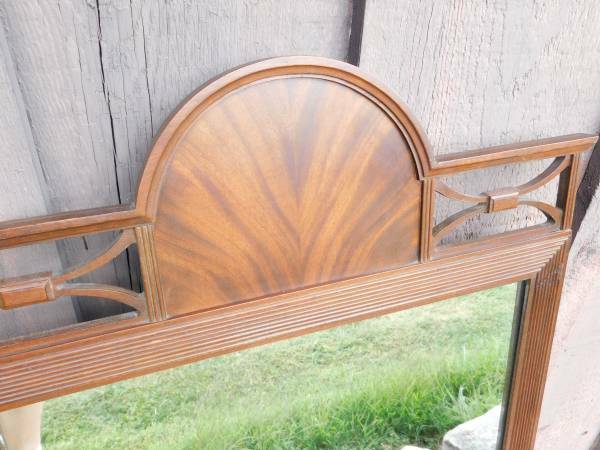 Up for sale is this used old wall hanging Art deco mirror. 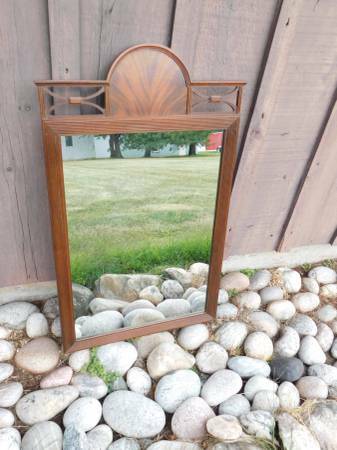 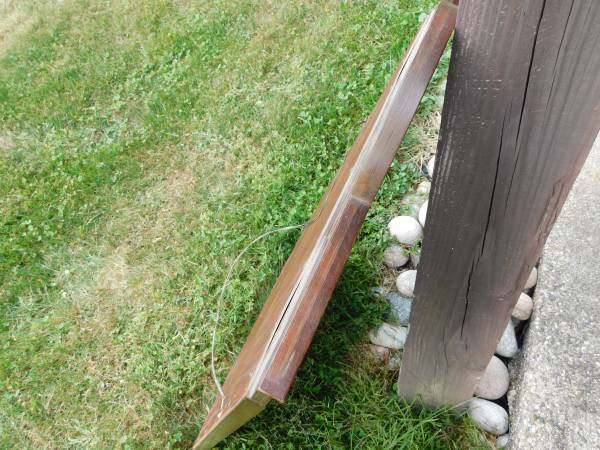 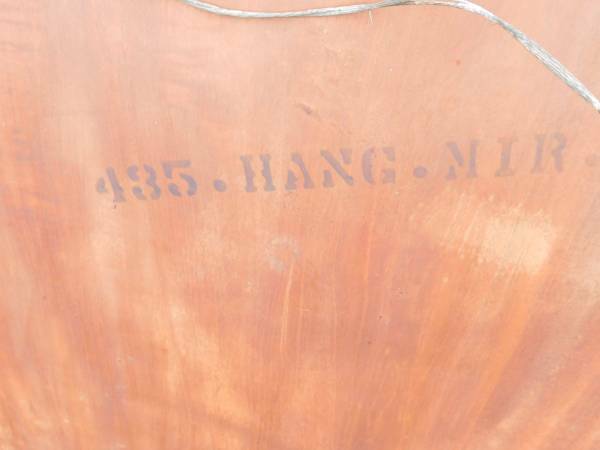 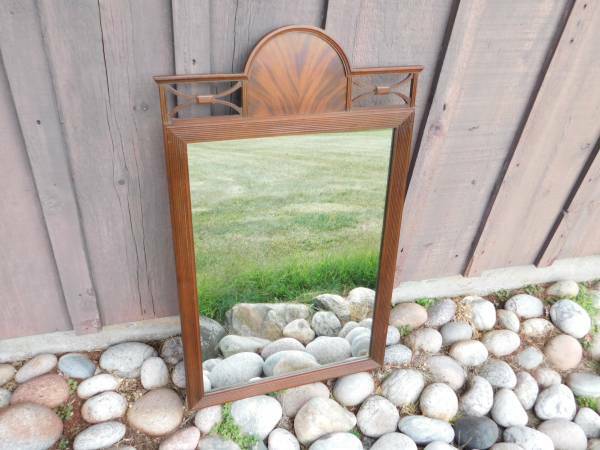 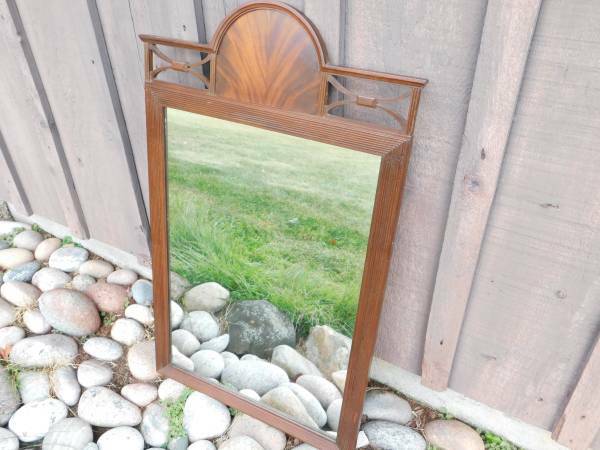 This mirror looks to make of walnut wood?? 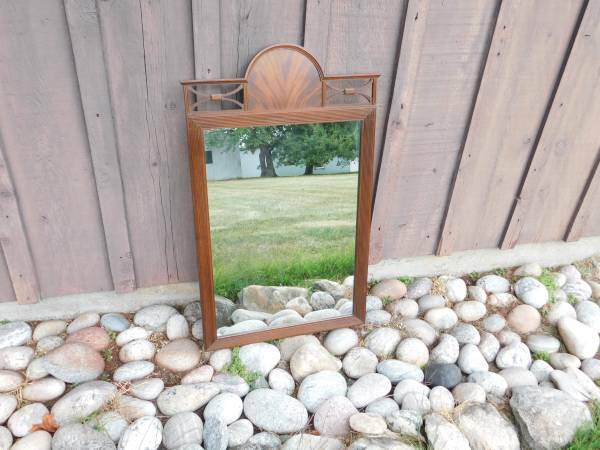 It has a very unique look. 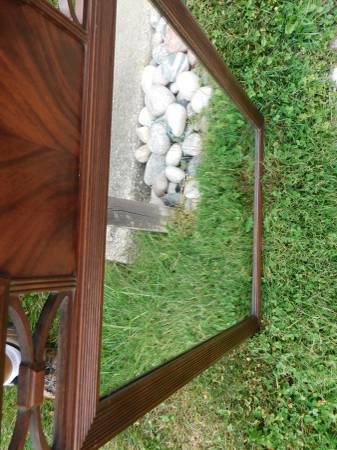 A sturdy place will need needed to mount this frame because the mirror is rather heavy. 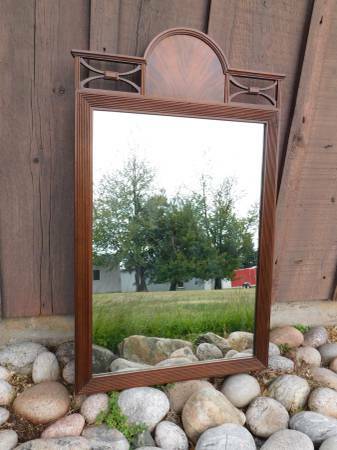 38" tall 23" wide-77" x 19" mirror viewing area.